DJ Ricardo! presents Out. Anthems is Ultra Record’s exclusive L.G.B.T. branded annual compilation. Ultra Records is the worlds largest selling dance label and has recently merged with Sony music. 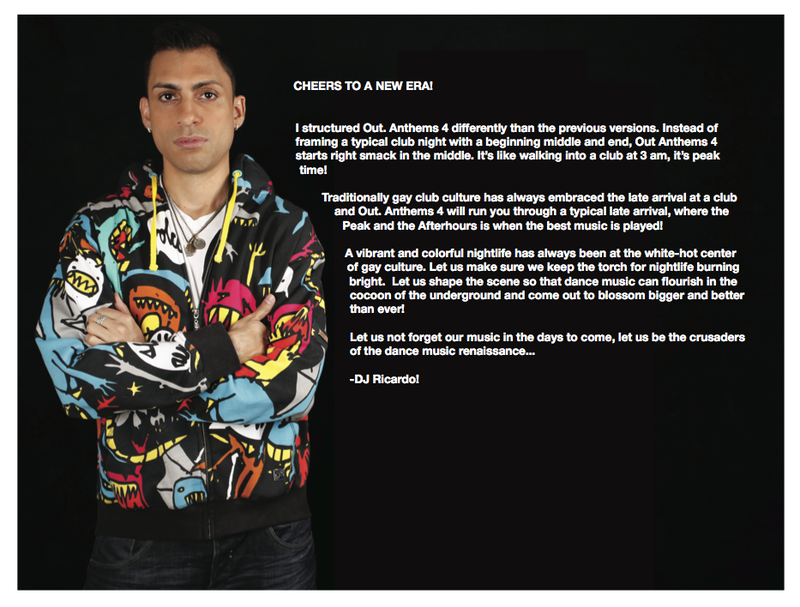 Out Anthems is one of Ultra’s longest running series compilations, conceptualized and edited by NYC’s DJ Ricardo. Compiled Mix & Edited by: DJ Ricardo! 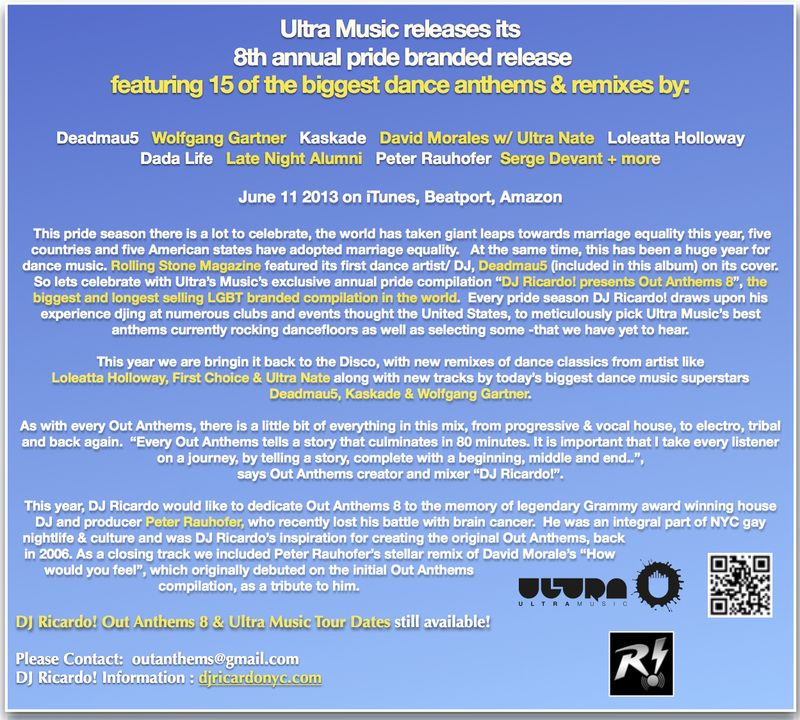 Dedicated to the memory of Grammy award winning remixer Peter Rauhofer. 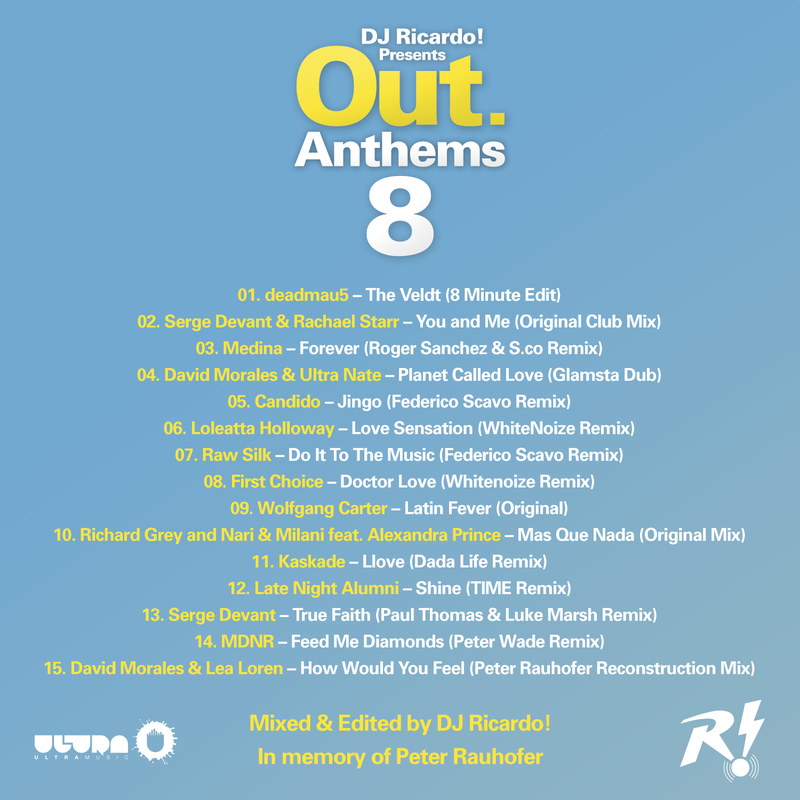 Compiled,Mixed & Edited by: DJ Ricardo! Compiled,Mix & Edited by: DJ Ricardo!